This pic is from a few years ago when I visited Hood River Mountain. 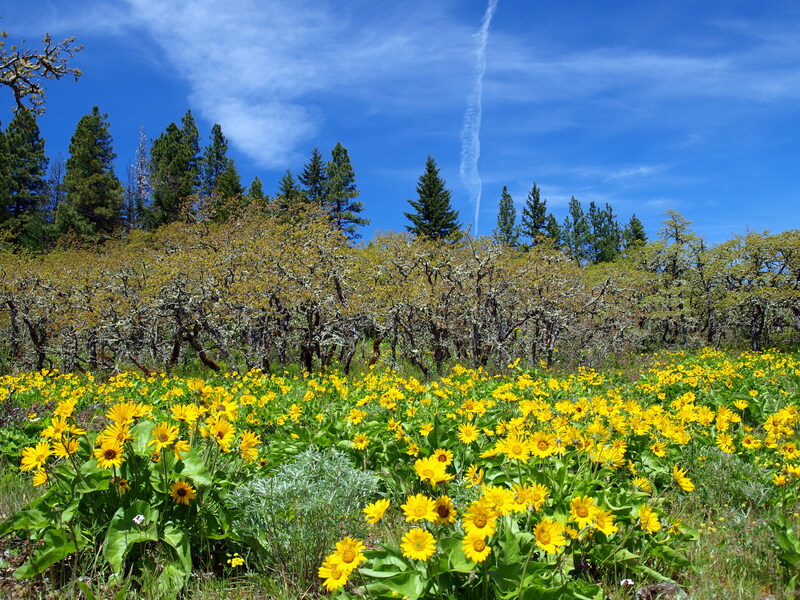 Typically most of the photos you see from Hood River Mountain feature wildflowers in the foreground, with Mt. Hood Majestically framed somewhere off in the distance. When I got home that day and looked at the photos I had taken, this one from the back side of the mountain stuck out as my favorite. I just really dig the layers of flora and color. The only bummer is that there’s a nice clump of lupine in the foreground that hadn’t bloomed yet. That would have been sweet.